As you might have noticed when you’ve read my blog posts about the Trans Mongolian Railway, the day trip from Nice on the train des Merveilles and the best way to travel to Tibet, I have a thing for epic train journeys. There is something truly enchanting about the most scenic train rides of the world. Maybe I am a nostalgic wanderer or a romantic historian, but I find the great train journeys of the world something tremendously appealing. Do you have a train travel bucket list? It wasn’t always been like that. 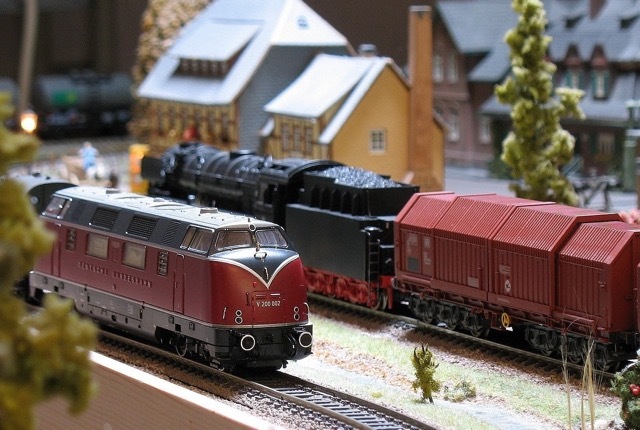 Growing up, my dad was and still is an avid collector of model trains. These miniature steam trains were displayed in our house and soon I got bored with visiting train stores and watching the trains go round and round. It wasn’t until I was 12 years old, when I first travelled by train. The yellow trains in Holland are not very exciting and during my time at university, I travelled each day by train. The first time travelling abroad by train was much more excited. We got on a train at the local train station and went by train, boat, train, subway and train to Torquay in England. The route along the costs was scenic and very exciting. After this, I’ve travelled far and wide by train. I travelled to Paris and Berlin by high speed trains, across Italy and Spain by local trains and took day trips from Nice by train. I also crossed the first two epic train journeys of the world off my bucket list, when I travelled to Nepal over land. In 2007, I was contemplating of travelling to Nepal. I got hold of a detailed map of the European-Asian continent with colourful lines across it. I traced the different lines with my fingers from Moscow to Mongolia and Beijing. Onwards to Lhasa and then to Nepal. I was intrigued by the possibility to walk out of my home, hop on board a train that would take me all the way to a country as far away as Nepal. When I now see the long coloured lines across the continents, I want to know the history behind it. Why are they there, where are they going and who’s travelling along them? By now, I have a (long) bucket list solely consisting of epic train journeys of the world. I was already able to cross off some things of my train bucket list. Hopefully in 2016 I’ll be able to cross off another when I travel to Peru. But just for the fun of it, here’s my “Epic train journeys of the world” bucket list. From Moscow all the way to Beijing. The train’s itinerary spans a vast 4,735 miles or 7,621 km from the capital of Russia, across sweeping tundra’s, it touches the rim of the biggest fresh water lake in the world (Lake Baikal that is) and crosses straight through Mongolia, into the green plains of China until it reaches its final destination 7 days later in Beijing. It covers 2 continents (Europe and Asia) and you’ll pass 6 different time zones. 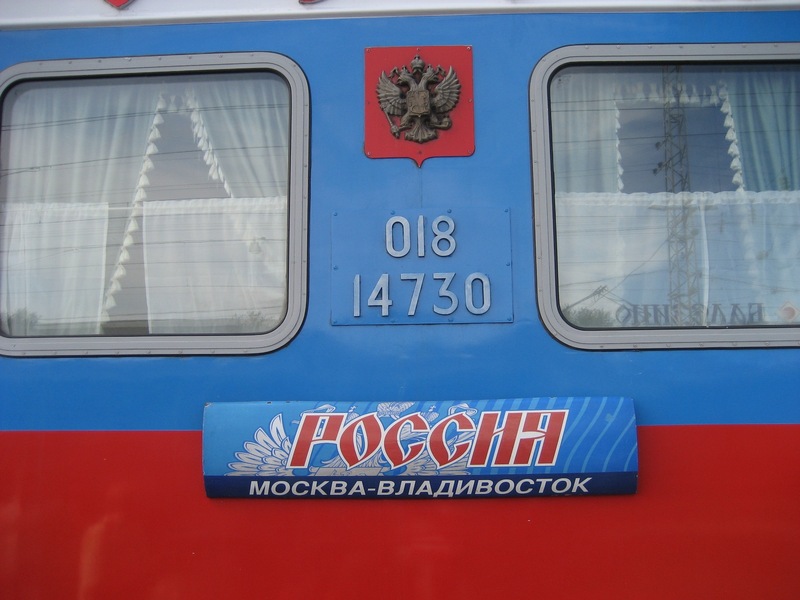 This journey is a deviation from the original Trans-Siberian Railway, from Moscow to Vladivostok, which is among the longest train journeys of the world. Read my elaborate guide on how to travel the Trans-Mongolian Railway. 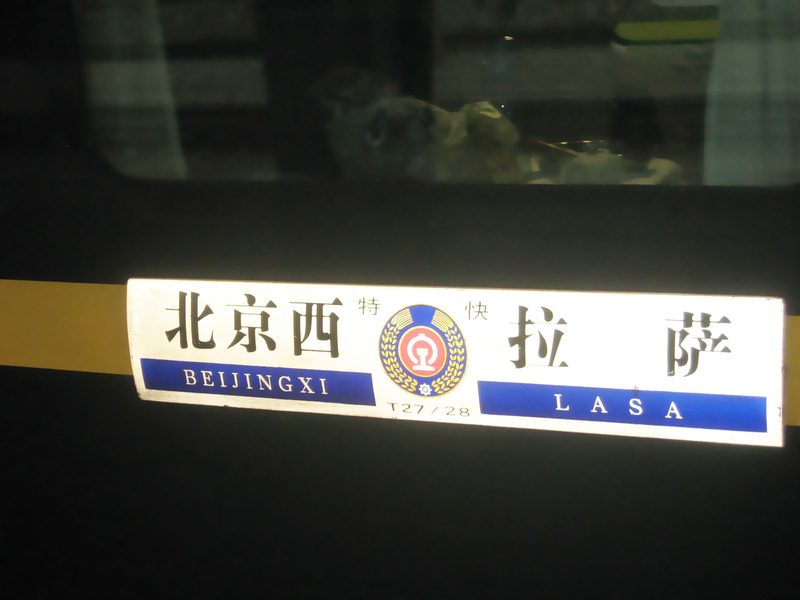 Epic train journeys of the world: Lhasa Express. Done! Possible the youngest of all the epic train journeys, this high altitude railway opened shop in July 2006. The Qinghai-Tibet Railway is a real masterpiece of engineering. The route covers a 3,757 km (2,335 miles) and will take up to 41 hours from start to end. The route is the highest railway in the world and the highest pass is at Tanggula Pass (5,072 m/ 16,640 ft.). You spend almost 80% of the journey above 4,000m and the route costs a whopping 3,7 billion US $, mainly because of the difficulties building at high altitude and building on permafrost. It comes at a price but this might be the most scenic train ride of the world and the best way to travel to Tibet! What to do once you get to Tibet by train? Read my Tibet travel story. It connects Lhasa, the capital of Tibet with Beijing and other cities in China. Read more detailed information on this route in how to travel to Tibet for solo travellers. Most Famous Train Journey – Orient Express to Istanbul DONE! This is truly a nostalgic train journey across Europe to Constantinople (modern day Istanbul). These luxurious sleeper cars (wagon-lits) were the only means of transportation from London and Paris to Constantinople at the start of the 20th century. Running in some form as of 1889 this route was covered by various train journeys and routes until 2009. 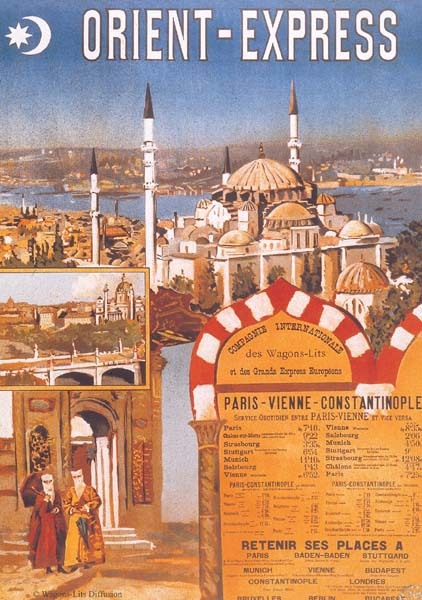 The Orient Express runs from Paris to Vienna, Budapest and Bucharest to Istanbul. As of 1920 the Simplon Orient Express joins the route, covering the southern line from Paris to Lausanne, Milan, Venice, Trieste, Belgrade and Istanbul. Who isn’t familiar with Agatha’s Christie’s Murder on the Orient Express? The wars in Europe and the changes of modern age have altered the schedule and the route of this journey. As a matter of fact, the Orient Express is more a “concept” than an actually route on the map. It’s impossible to go to the train station in Paris and buy a train ticket for the Orient Express. That being said, I think it’s a nostalgic concept to transverse Europe by train and travel to the city divided by 2 continents. I’ve been to Turkey on many occasions and it was a dream come true to travel by train on one of the most famous train journeys of Europe! The great big continent of North America is very inviting for train travel. You can cross Canada from Toronto to Vancouver on the Canadian and the Rocky Mountaineer and you can go East to West in the States on the Californian Zypher. North America is a truly gorgeous continent so what better way than to cross the continent by train? The vast country of Canada can be transversed by train all the way from Toronto to Vancouver on the Canadian. In Calgary/Banff or Jasper you can hop on the illusive Rocky Mountaineer, giving a striking view over the Rocky Mountains with its vista dome cars. This is a great train journey for train historians. The train consists of the original 1955-built stainless-steel coaches from the Canadian Pacific Railway’s “Canadian”. The journey takes 4 nights and 3 days, passes 4 time zones and you’ll travel a whopping 4,466 km (2,775 miles). The journey will take you from the biggest city of Canada, past some of the biggest lakes, into the prairies and the Rockies, all the way to the Pacific coast. For the next epic train journey, we’re staying on the North American continent. After crossing the whole of Canada, wouldn’t it be awesome to do the same in the States? The longest train journey is the stretch from New York via Chicago all the way down to San Francisco. This route covers most of the historic train routes of America, although today you can customize the whole journey to suit your wishes. From New York to San Francisco is a 4 night, 4,567 km/ 3,397 miles, train ride. If you travel on the California Zephyr, you’ll pass the green country side in Nebraska. You will climb to the top of the Rocky Mountains around Denver and drop to the valleys of Colorado. You continue through the Sierra Nevada mountain ranch until you reach the Pacific coast and the San Francisco Bay area. Train travel in Australia must be part of the most famous train rides of the world. In the old days, people could only travel the huge distances of the continent by train. Nowadays, the the Great Southern Rail have 2 very attractive (touristic) routes across the continent. One from North to South, the Ghan Railway and the other, from East to West, the Indian Pacific, these are among the longest train journeys in the world! 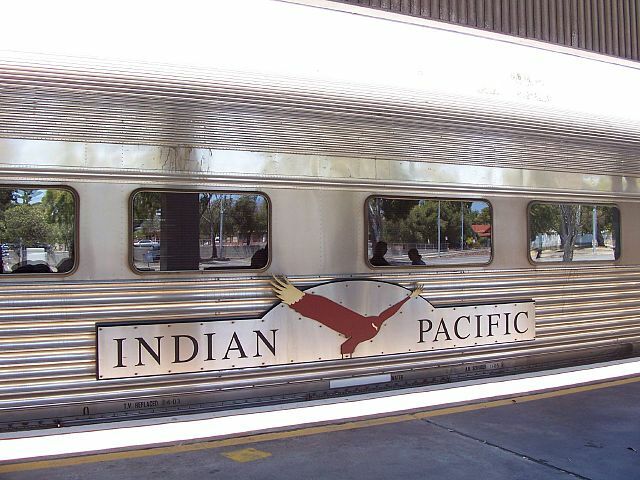 Indian Pacific runs from Sydney to Perth over 4,343km (2,698 miles). It’s famous for the crossing the Nullarbor Plain, the world’s longest straight section of railway, 478 km (297 miles). Nothing but rails until the horizon and it will bring you from one side of the continent to the other in 3 nights (4 days). I’d love to take this train route and see if I can spot some koalas from the train window. Now the Ghan Railway, runs from Darwin in the north, across Australia’s red centre, to Adelaide in the south. You can hop off at Ayers Rock and visit the desert and really get a good feel of the size of Australia. The name “Ghan” derives from the ancient route of Afghan camel drivers, taking this route across the desert. Although I rather travel slow and see the landscape change in front of my, it would also be super exciting to speed through Japan on one of the Shinkansen Bullet trains. The super high speeds trains can have a speed of approximately 240–320 km/h (150–200 mph). 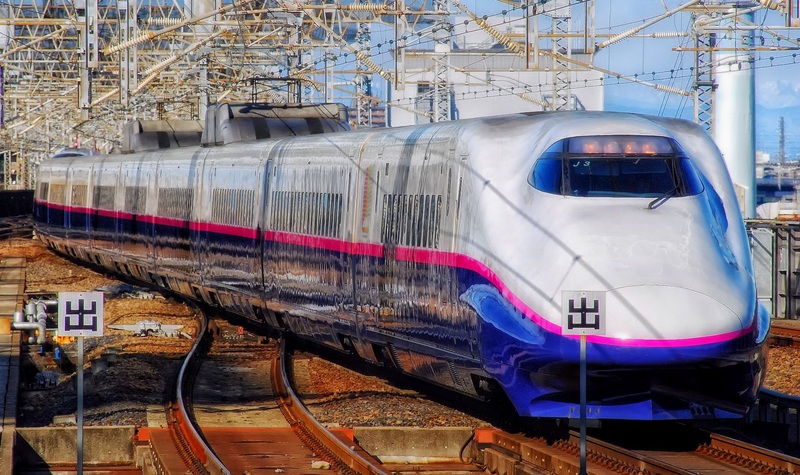 The Shinkansen is not so much an epic train journey, although it would be an epic train experience as it connects Japan’s biggest cities by super modern and ultra-fast trains. If I get the chance, I’ll sure would like to try it. Read all you need to know about the Japan Railway Pass here. It is as like they invented luxury trains in India. One after the other epic, luxurious carriage ride after another. To name a few: Maharadja’s Express, the Palace on Wheels or Golden Chariot. I’d like to go to India and criss cross the country by rail. That seems to be THE way to explore the real India. South America doesn’t hold that many train routes, but some of them must be on my bucket list. Read more: Train to Machu Picchu, Peru. The train to the clouds is something high on my bucket list (pun intended). 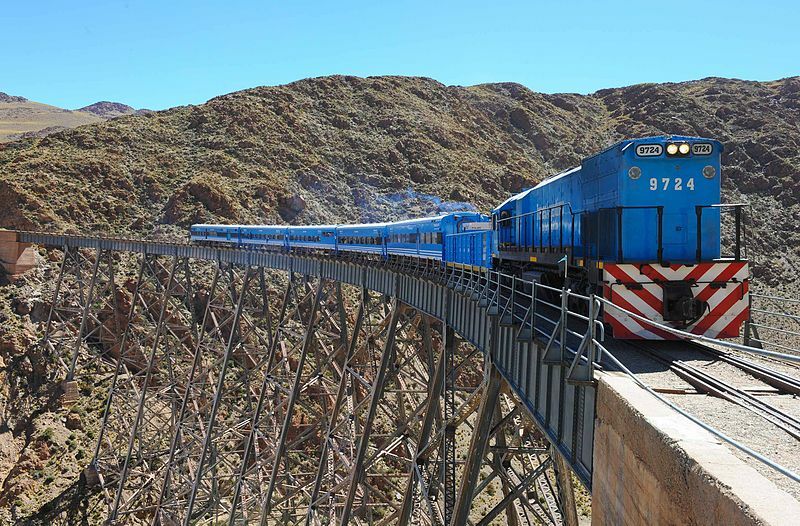 It’s a route on the Salta (Argentina)-Antofagasta (Chili) railway, mainly used for goods. Nowadays, the Tren a las Nubes is a real tourist attraction. It’s not a long journey, but one that will leave a big impression. From Salta station it takes 15 hours to complete the 434 km (270 miles) round trip to the Polvorilla viaduct, located 4,220 m (13,850 ft) above sea level. Tren a las nubes crossing viaduct2 by presidencia.gov.ar. This train journey goes from Cuzco to Puno, at the Lake Titicaca in Peru. Here is a quote from Norman from Annees de Pelerinage who travelled on this train in 2015. Make sure to follow him, if you want to read more about Luxury (train) travel. I have to say I was quite impressed by my experience on the Andean Explorer. I did, in all honesty, not expect the train to be quite that luxurious (considering general South American standards) and most of all I did not expect the train journey to be quite so breathtakingly beautiful. I can definitely recommend doing it, even though I might not go again, mainly to save the time to explore other highlights around the area. Read the whole article on annees de pelerinage. When I travelled in Peru from Puno to Cusco, I decided to take the cultural bus trip instead. Read on the blog why! Travelling around Europe by train is super easy, comfortable and affordable. Europe also has many epic train journeys. Maybe not among the longest but certainly among the most beautiful train journeys. Read more: What to pack for train travel in Europe? With only 20.2 km (12.6 miles) long, this is one of the shortest train journeys but definitely one of the most scenic train rides. 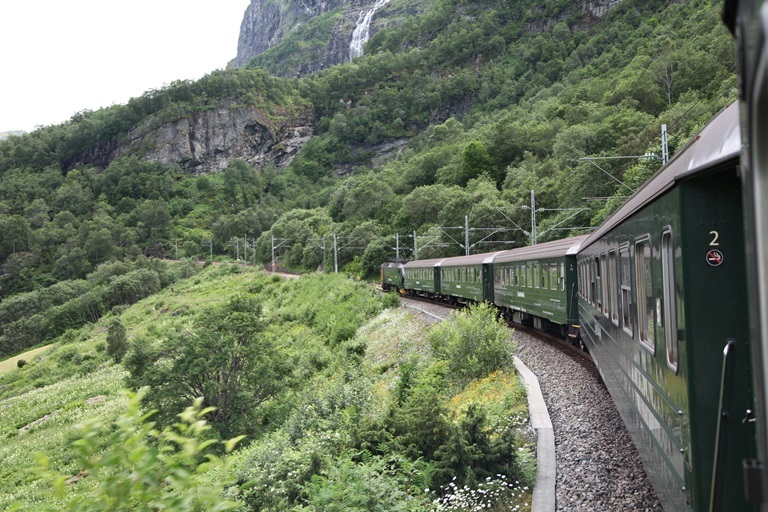 It links Myrdal to Flåm in Aurland, Norway. You travel through the green Flåmsdalen and the railway connects with the Sognefjørd. The difference in elevation along the route is 863 meters (2,831 ft) and the maximum gradient is 5,5%. When you say Switzerland, you must mean trains. 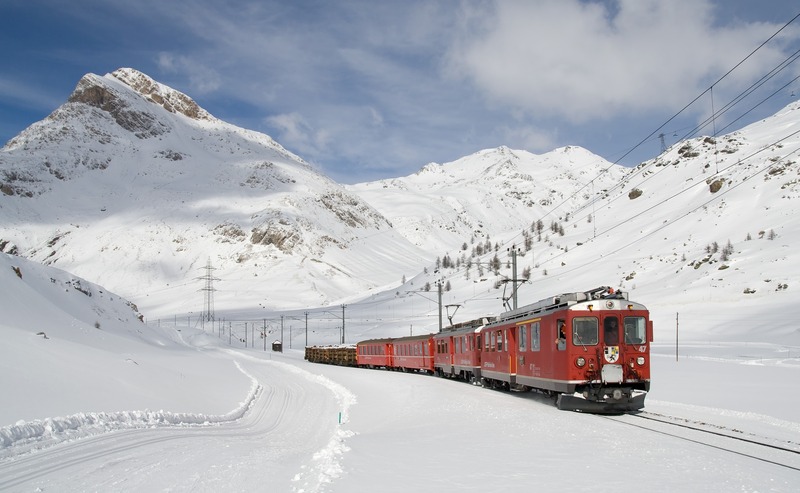 The Glacier Express is a day trip by train from Zermatt to Davos or St. Moritz. On its way, the train travels across 291 bridges, through 91 tunnels, and across the Oberalp Pass on the highest point at 2,033 m (6,670 ft) in altitude. It now runs year round, so you can enjoy summer and winter in the Alps. 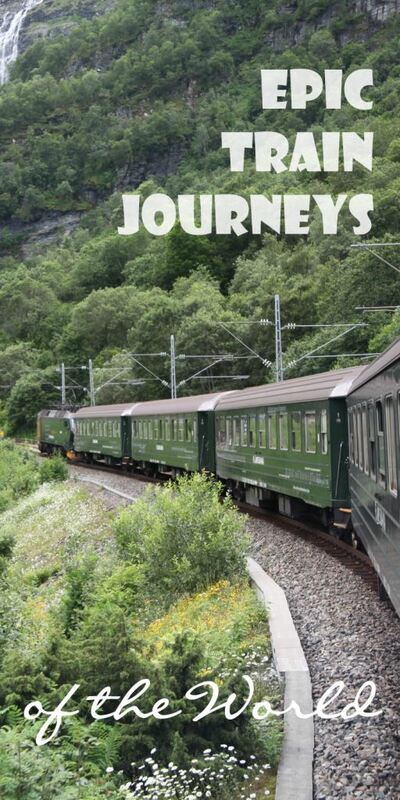 Would you rather experience this famous train journey in summer or winter? Need more reasons to rail around Switzerland? Here are the most scenic places in Switzerland. Read all about my Swiss railway adventure here! 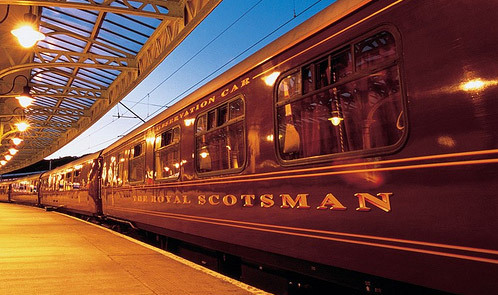 Although the different routes across Scotland are interesting, this is at the top of the luxury train journeys of the UK. With only 36 passengers, it is a perfect experience for people who want an intimate, luxury train journey. You’ll get a gourmet, five-star dinner with wine and superior service. All trains depart from Edinburgh but different routes depending on the time you’ll have and the money you’ll be able to spend. Well, there you have it: my not so short epic train journeys of the world bucket list. 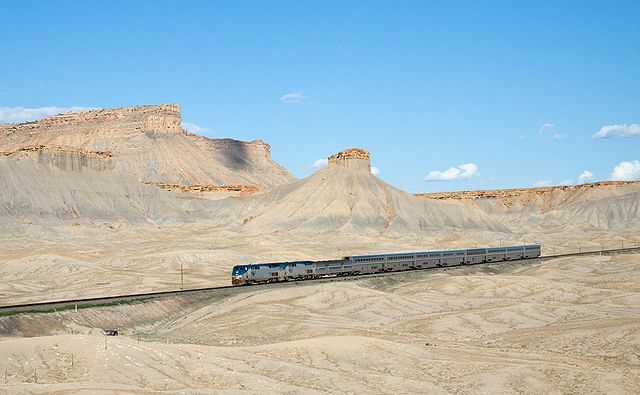 Which scenic train ride is on your train travel bucket list? Please let me know so I might get inspired too! Are you feeling inspired? Make sure the pin the below image to your train travel or travel inspiration board on Pinterest. Great train journey you have here. For me I’ve experienced this kind of adventure also. From Singapore to Malaysia, to Thailand, Myanmar going to India. It was just a wanderlust experience for me. I’m planning to have this land trips on Europe too and i’m considering this routes you have.